The 2011 growing season turned out to be, on average, one of the cooler seasons in recent history However, with careful vineyard management to ensure low yield from our vineyards, the grapes reached high sugar levels, perfect acidity and low pH.The long hang time (i.e. late harvest date) resulted in optimal phenolic ripening of the grapes, which contributes vital characteristics to the color, texture and flavour of wine. 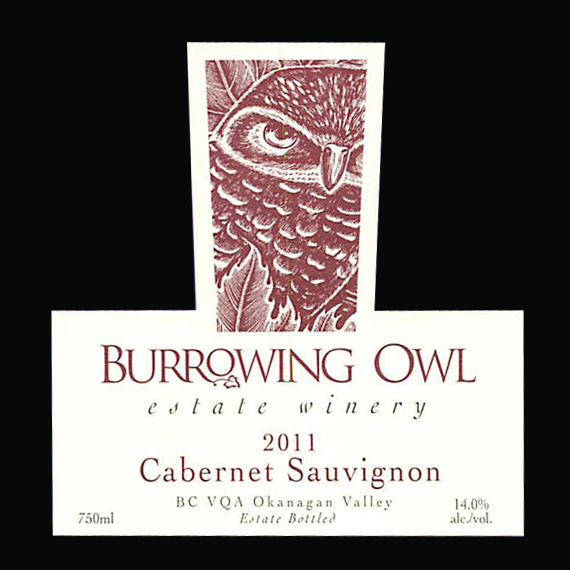 Grapes for the 2011 Cabernet Sauvignon were harvested by hand from Burrowing Owl's estate vineyards on Black Sage Road in Oliver.The grapes were sorted and de-stemmed before they were slightly crushed into the fermenting tanks. After 5 days the ferment started naturally, and lasted 7 days. 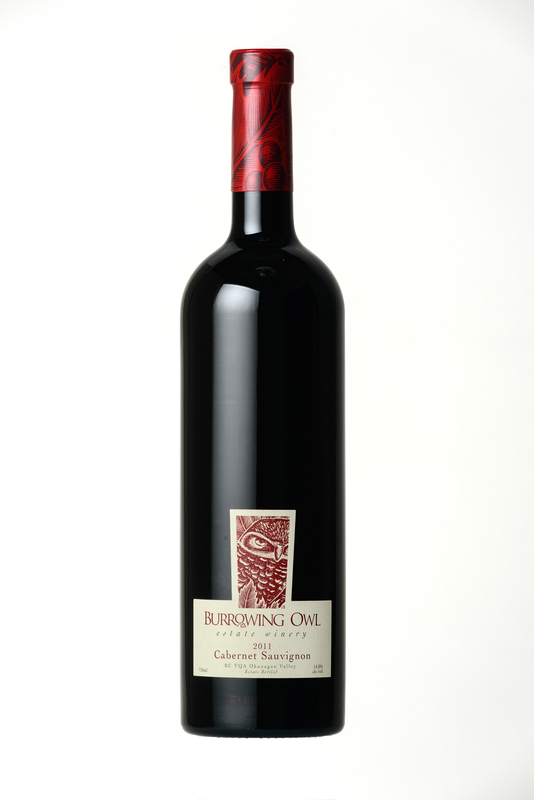 Pressing followed, and the wine was transferred to barrel for secondary (malolactic) fermentation.The wine was transferred to barrel for ageing and racked every 3 months during the 20 month ageing period.This Cabernet was aged in l00% French oak of which 30% was first fill, and the remainder 2nd and 3rd.